Amazement, fun, enthusiasm. 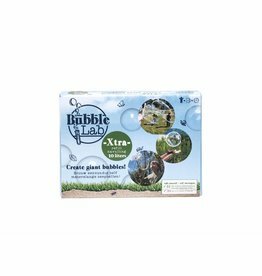 BubbleLab is a beautiful product which shows how to discover and experience lovely things in a simple way. 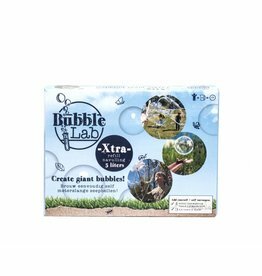 With BubbleLab you create your own suds to make giant bubbles. It does not matter if you are old or young, everybody enjoys making bubbles. It is educational, fun, cosy, inspiring and challenging! Bubble lab comes in a few different DIY packages. A manual, two sticks, a rope and two tubes of BubbleLab powder. With the basic package you have everything you need to start creating gigantic bubbles. The basic package contains enough powder to create five litres of bubble suds. It has three pairs of sticks, six tubes of BubbleLab powder and three ropes. This package is our most extensive option. 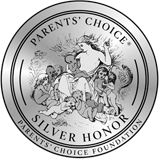 It is quite suitable for parties but also for schools or children’s day care. It creates fifteen litres of suds. The refill packages either contain powder to create five or ten litres lsuds. These packages do not contain the other necessities you need to use BubbleLab. In Holland we advise to combine the powder with the original Dreft for the best result. For other countries we recommend to use Yess or Fairy or Dawn (In Hungary use Jar). Do not use any kind of soap with citrus in it. The Party Fun edition is fun for young and old. Contains 3 bubble-sticks and Bubble powder for 15 liters Bubblesoap suds! With tubes filled of bubble powder, sticks and rope you make 5 liters of Bubble suds, a nice bubble stick to spend hours of making giant bubbles.